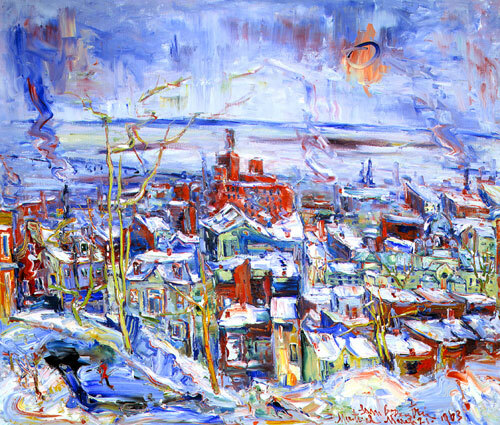 Sam Borenstein, View of Montreal, 1963, oil on canvas. Collection of the Leonard and Bina Ellen Art Gallery, Concordia University, Montreal. Gift of the Samuel Schecter Foundation,1963. Sam Borenstein (1908-1969), from Feb. 6th to May 8th 2011.
of Fine Arts in 2005, which also toured across Canada. "SAM BORENSTEIN AND THE COLORS OF MONTREAL"
Or call 212-294-8330, ext. 0. All contents © copyright 2019 Borenstein Estate. All rights reserved.